The book of Revelation has been both the most abused and one of the most ignored writings in the New Testament. Revelation has frequently become a non-functioning part of the canon for many persons in the church. 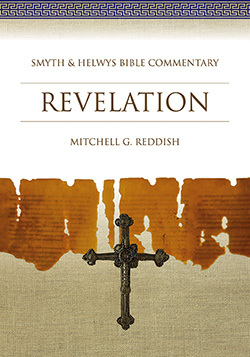 Mitchell Reddish believes that the church has an obligation to reclaim the book of Revelation and allow it to speak afresh as a powerful voice containing the message of God. The commentary of the book of Revelation combines serious scholarship with contemporary application of the texts, helping the modern reader understand and appreciate the last book of the Bible. The visual and auditory richness of Revelation is an important part of the presentation of John’s message. Reddish maintains that the visions, symbols, and seemingly strange images in the book are to be experienced more than explained, for the genius of Revelation is found in the cumulative effect of these imaginative components of John’s writings. The unique features of this commentary are its three-fold format for each section of the biblical text: (1) a commentary section containing critical analysis and interpretation; (2) a section that makes connection between the text and the modern reader by suggesting contemporary applications of the test; and (3) special interest material related to the text. Mitchell G. Reddish is professor and chair of Religious Studies at Stetson University, DeLand, Florida. His other works includeAn Introduction to the Bible, An Introduction to the Gospels, andApocalyptic Literature: A Reader.